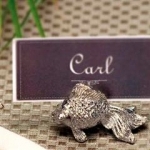 Fish Gifts - Click on an item for more details! This beautiful Sea World Single Switch Cover is made of high quality brass with a clear coat that does not require polishing. It is a great accent to any room in your home or office. Makes a great gift item for your friends, family, loved ones, or even yourself. 6 inches Tall, 3 inches Wide. Materials: Brass. This beautiful Tropical Fish Porthole Shadow Box is 13 inches in diameter. Bringing a unique and artistic addition to your home or garden, this exquisite piece of artwork will sure to be enjoyed for a lifetime for all your family and friends. Wood and glass with hand painted finish. 13 inches Dia. This beautiful Stained Glass Fish Plaque is created with a stunning detail finish. With brilliant colors of coral and sea life accents, exquisite piece of artwork will truly be admired by all. A unique and decorative way to bring the love of ocean creatures into your home. 10 inches diameter. 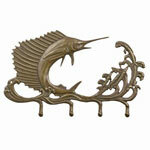 This beautiful Marlin Key Hook is made of brass with stunning detail and finish. Handcrafted with the finest materials, this piece of functional artwork will bring a lifetime of enjoyment. A wonderful gift for a friend or loved one as well! 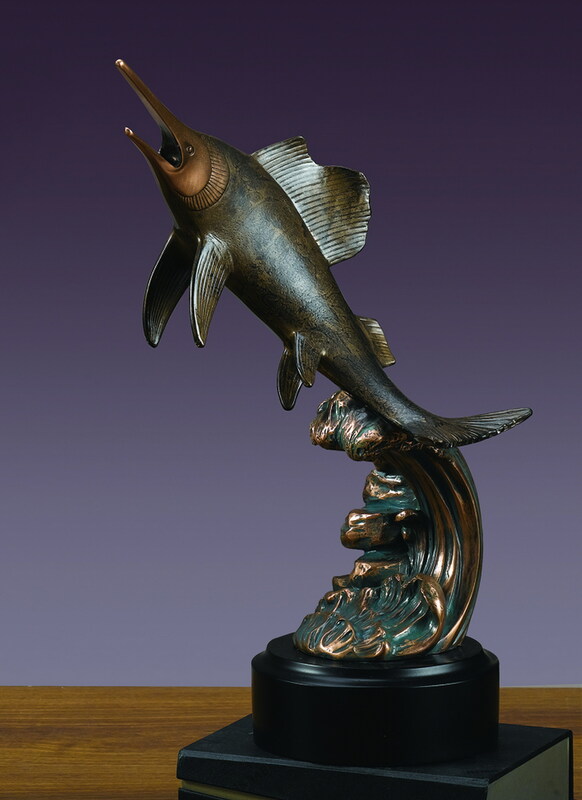 Brass, 12.5" W. x 7.5" H.
This Metal Art Fish on Stand is made with the finest details and materials. Handcrafted for the highest quality and unique design. A treasure to enjoy in your home or garden to last a lifetime. 13 inches W. x 15 inches H.